Engineering Services - Sumac Geomatics Inc. When undertaking preliminary engineering of design options, an understanding of the environmental context of the project is required. Sumac provides a range of services that help a design team understand the physical nature of the site of their project that go beyond providing a digital terrain model. Sumac’s in-house expertise in forestry and habitat classification provides planning teams a head-start on procedures such as the environmental permitting process and understanding risks to the project. Delivering a synchronised portfolio of geospatial datasets that include orthophotos, classified maps, digital terrain models and topographic survey data to project teams, ensures that everyone in the team is working with the same understanding of current site conditions. This minimizes costs in planning that would otherwise be magnified later in the project. The currency and scale of existing mapping often does not meet the specifications required for detailed design. The Sumac team bring the skills to produce survey-grade mapping from either conventional aerial survey, or UAV, data collects. 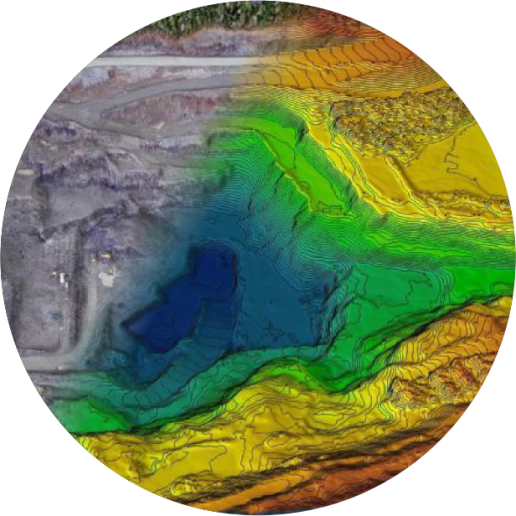 Due to more flexible mobilization schedules, a UAV provides the opportunity to collect the most recent information of a site’s current condition. The outcome are reference datasets of current conditions for not only accurate design work, but also accurate costings to be calculated. An aerial perspective is now seen as a necessity to monitoring of many construction sites. A project team can understand onsite conditions without incurring the cost and safety risk of a site visit. The speed of an aerial survey leads means that capturing snap-shots of an entire site is an efficient process. Assets can be tracked, progress can be monitored, risks can be identified, budgets can be checked. Sumac has a track record of delivering monitoring data to corporate decision systems. Typically involving collecting data and reporting within a 24-hour period; the Sumac team is well versed in setting control, replicating consistent data collection procedures, monitoring its own error budgets, and reporting reliable analytics that feed the project management process. This means that not can sites be visually documented, but the movement of materials can be tracked through volumetric reporting. As necessary as during Detailed Design, Sumac will deliver the timely survey-grade topographic mapping in the project’s testing and commissioning phase, that is required to assess the extent that the project met its design requirements. The flexible mobilization schedules of UAV data collection methods mean that if deployed throughout a project, a sequence of auditable documentation can be assembled to identify and substantiate if any claims can be made at commissioning of the project.